EDITOR’S NOTE: Updated at 7:30 a.m. EST (1230 GMT) after launch. The second orbital test flight of India’s GSLV Mk.3 launcher took off Wednesday, hoisting a high-throughput communications satellite into orbit to connect the county’s remote population and clearing the way for a robotic lunar lander to use the rocket in January. Boosted by two powerful strap-on solid rocket motors, the nearly 143-foot-tall (43.5-meter) Geosynchronous Satellite Launch Vehicle Mk.3 (GSLV Mk.3) lifted off from the Second Launch Pad at the Satish Dhawan Space Center on India’s east coast at 1138 GMT (6:38 a.m. EST) Wednesday. 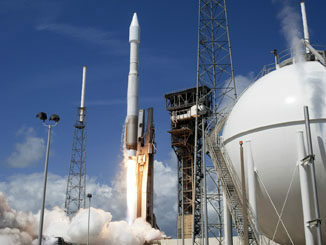 The launch occurred at 5:08 p.m. local time at the Indian spaceport. It was the third test flight of the GSLV Mk.3, India’s most powerful rocket, following a suborbital demonstration in 2014 and an orbital launch in 2017. Both missions were successful, and with Wednesday’s successful launch, Indian officials declared the rocket ready for operational flights, beginning with the launch of the the Chandrayaan 2 lunar lander as soon as January. “Today, India has achieved a significant milestone in the Indian space program,” said K. Sivan, chairman of the Indian Space Research Organization. 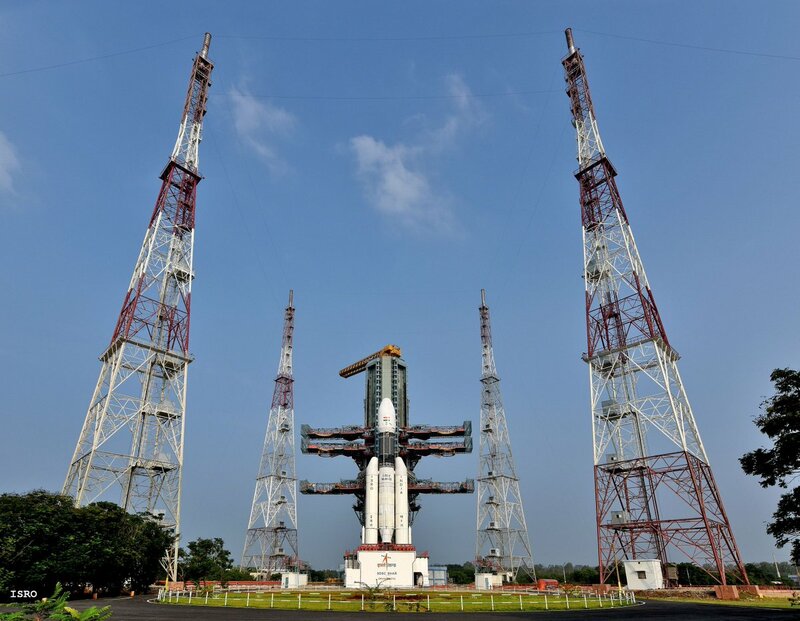 ISRO officials said the GSLV Mk.3 placed the GSAT 29 communications satellite into an on-target geostationary transfer orbit, very close to pre-flight predictions. “This mission is a very important mission regarding the GSLV Mk.3 program, as well as the GSAT satellite series, because this is the second successive successful mission of the GSLV Mk. 3 launcher,” Sivan said in remarks after Wednesday’s flight. “That clearly shows that now the heaviest launcher of India has completed its development flights and is entering, majestically, into the operational group of launchers of ISRO, that is along with the PSLV and GSLV. Indian space program managers earlier this year moved the Chandrayaan 2 launch from the less capable GSLV Mk.2 rocket to the GSLV Mk.3 to accommodate mass growth on the lunar mission. The GSLV Mk.3 is also supposed to launch astronauts to orbit aboard India’s planned Gaganyaan crew spacecraft as soon as December 2021. Indian Prime Minister Narendra Modi announced the human spaceflight program in August. 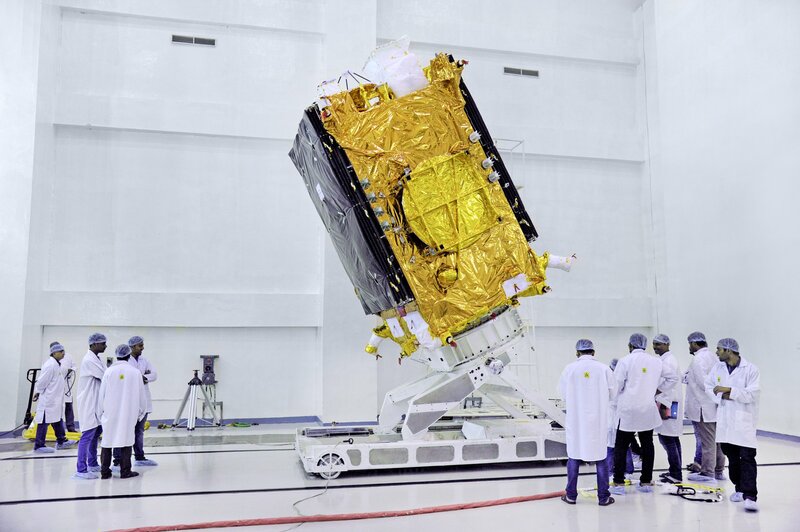 Designated GSLV Mk.3-D2, Wednesday’s test flight sent the GSAT 29 communications satellite into an elliptical geostationary transfer orbit, on the way to a final position in geostationary orbit more than 22,000 miles (nearly 36,000 kilometers) over the equator. One of the satellite’s tech demo payloads will investigate laser communications links between the ground and geostationary orbit. Laser, or optical, data links provide a significantly faster way to relay information than conventional radio communications. The GSLV Mk.3 rocket lifted off powered by two 86-foot-long (26.2-meter) S200 solid rocket boosters, generating a combined 2.2 million pounds of thrust. 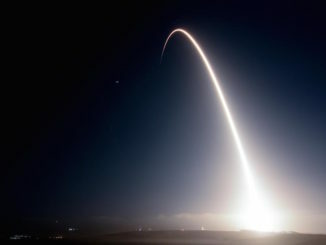 A core stage driven by two hydrazine-fueled Vikas engines ignited at T+plus 1 minute, 50 seconds, followed by burnout and separation of the strap-on boosters at T+plus 2 minutes, 19 seconds, after they each burned through their supply of more than 225 tons (205 metric tons) of pre-packed solid propellants. The twin Vikas engines fired until T+plus 5 minutes, 15 seconds, each producing around 190,000 pounds of thrust. The liquid-fueled powerplants are new higher-thrust variants of the Vikas engine, an upgrade that debuted on a GSLV Mk.2 launch in March and flew on the GSLV Mk.3 for the first time Wednesday. An upper stage engine consuming cryogenic liquid hydrogen and liquid oxygen propellants ignited at T+plus 5 minutes, 21 seconds, moments after separation of the GSLV Mk.3’s core stage. The upper stage engine burned until T+plus 16 minutes, 28 seconds, to place the GSAT 29 spacecraft in a transfer orbit with a targeted low point of 118 miles (190 kilometers), a planned high point of 22,353 miles (35,975 kilometers), and an inclination of 21.5 degrees. Around 15 seconds after shutdown of the upper stage engines, GSAT 29 separated from the rocket, an event observed in live video streaming down from the launcher. Over the next few days, the GSAT 29 satellite, based on ISRO’s I-3K spacecraft design, will use an on-board thruster to circularize its orbit over the equator at 55 degrees east longitude for a 10-year mission. GSAT 29 carries Ku-band and Ka-band spot beams aimed at remote parts of northwest and northeast India, beaming signals to a large population, particularly in hilly and geographically inaccessible regions, according to ISRO. 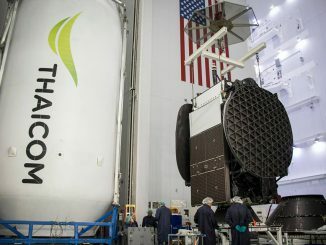 The satellite’s technology demonstration function focuses on the testing of a new optical communications capability, a Q-band and V-band communications payload, and a high-resolution camera. The GSLV Mk.3 rocket can lift up to 4 metric tons — about 8,800 pounds — to a geostationary transfer orbit, the drop-off orbit for most large telecom satellites heading for perches more than 22,000 miles over the equator. For a mission to low Earth orbit a few hundred miles above the planet, ISRO says the GSLV Mk.3 can carry 10 metric tons, or about 22,000 pounds. The GSLV Mk.3 can haul about twice the payload as the GSLV Mk.2, India’s second-most powerful rocket. With the introduction of a future upgrade to switch the core stage to kerosene-fueled engines, the GSLV Mk.3 could haul up to 6 metric tons — more than 13,000 pounds — to geostationary transfer orbit. That is more than the lift capability of United Launch Alliance’s basic Atlas 5 rocket configuration without strap-on boosters, but well short of the capacity of the Atlas 5’s more powerful versions, the Ariane 5, and SpaceX’s Falcon 9 rocket. Wednesday’s mission was the fifth space launch of the year from India, all successful. India’s next launch is set for no earlier than Nov. 26, when a Polar Satellite Launch Vehicle will deploy India’s Hyperspectral Imaging Satellite and multiple secondary payloads for U.S. and other international companies. An Indian communications satellite is set for liftoff Dec. 4 on a European Ariane 5 rocket from French Guiana, followed by another launch from India using the GSLV Mk.2 rocket in mid-December with an Indian military data relay craft. “Missions are piling up, and the next mission we’re going to have less than two weeks from now,” Sivan said.